The excitement in the air is thick and contagious in the back room at Betty Lin on Sacramento Street in San Francisco’s tony Presidio District. The most exquisite clothing—heavy jackets with oversized sleeves covered in intricate gold embroidery, long-sleeved satin 20s-inspired jewel-toned dresses, strapless ball gowns with cinched waists and white damask bodices—hangs on racks that overflow with items, crammed into the small space. Everywhere you look there are sumptuous details. Feathers, brocade, iridescent fabrics, ruffles, lace, fur, and fringe abounds. A publicist and the shop owner converse in one corner, while two assistants push their way in between the hanging masterpieces. One gently steams the wrinkles out of a luxurious deep-purple drop-waist dress. The other assistant carefully unwraps a multicolored printed long-sleeve look from plastic. At the center of all this is a man dressed in black. 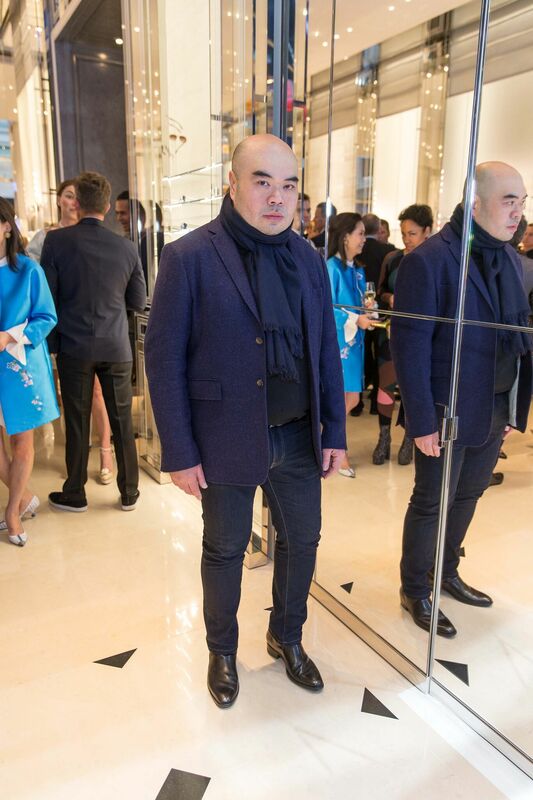 Despite the elegant chaos that erupts around him, fashion designer Andrew Gn is calm, his shiny head and relaxed smile make him appear Buddha-like. 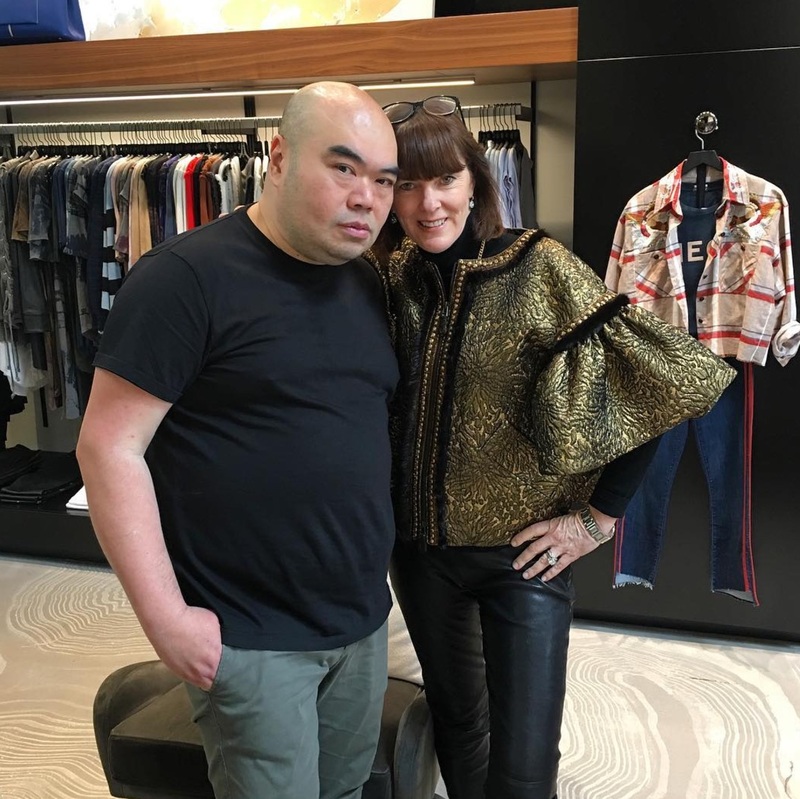 Although he’s based in Paris, the couturier visits San Francisco twice a year to host trunk shows at Betty Lin’s boutique. Today’s frenzy is in anticipation of tomorrow’s show. Gn has a huge following here: everyone from plastic surgeon, Dr. Carolyn Chang, to interior designer, Hillary Thomas, wears his designs. “Most of these girls were introduced to me by [the aforementioned publicist] Allison Speer. Allison is a friend of mine. I don’t even see it as a working relationship—we are just having fun,” Gn told Haute Living over coffee at AQ on the eve of his trunk show. “Allison introduced me to all her girlfriends, so we all became friends. 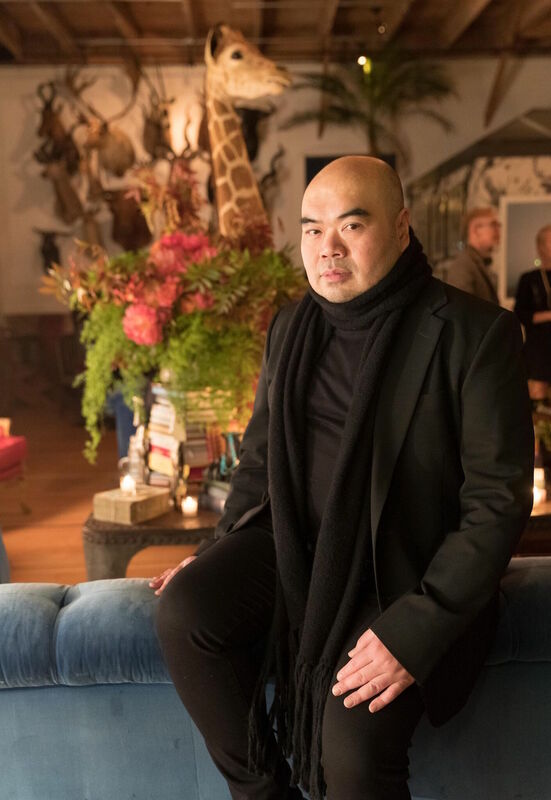 Oscar de la Renta, Bill Blass, and even Mr. Valentino, they were all friends with their clients.” His biannual visits not only cultivate the friendships and increase sales, but they are also reason to celebrate. 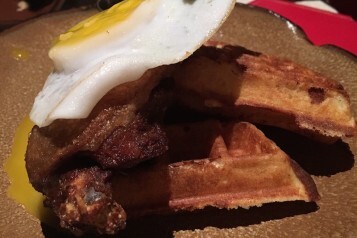 When Gn comes to town (“I normally stay at the Mandarin Oriental,” he says of the downtown hotel which is now actually a Loews Regency) there is always a special lunch or dinner in his honor. For his next visit, in late October, Gn will be the honorary chair at the San Francisco Fall Art and Antiques Show. 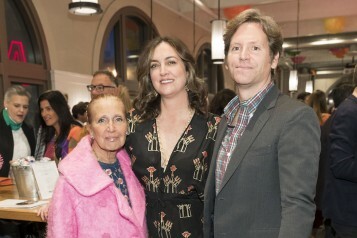 It’s an ideal fit: all of his friends, like gala committee chairs Dede Wilsey and Alexis Traina, and ladies about town Yurie Pascarella and Akiko Yamazaki, can wear his confections. While fast fashion is the downside of social media, the upside is that Gn uses it to further his business. “You know we sell gowns, evening gowns, thru Instagram,” he says. “They send their measurements over and we fit them on Skype. Technology changes the whole thing.” It also makes the world smaller and allows Gn to personally connect with the women who wear his clothes. “It’s amazing because you know we have [Instagram] followers from Brazil, South Africa, and Spain. We follow them and see what’s going on. We are available in Africa, we are available in Australia, and we work with Matches and many other websites”—meaning his tribe of followers is truly global. Tonight he’ll dine at one of his favorite restaurants in San Francisco—Cotogna, Quince, or Zuni. If he’s in the mood for dim sum, he’ll go to Yank Sing. But before he can eat, it’s back to Betty Lin to finish overseeing the unpacking of his ornate artisanal gowns. Gn turns to go, but stops and says he wants to share his motto. “Be gutsy and fearless,” he says. “Ultimate luxury, that is my mantra. Beauty and luxury always—no compromises.” Words to live by from the global fashion tribe’s worldly leader.